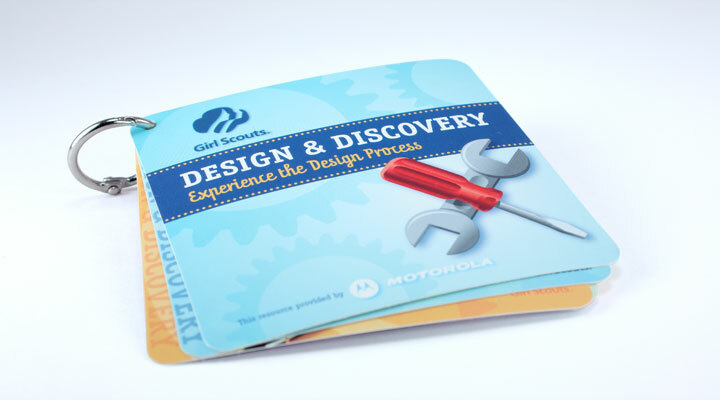 Design & Discovery connects the dots for girls between physics, math and technology, and paints careers in engineering and technology as important and accessible. 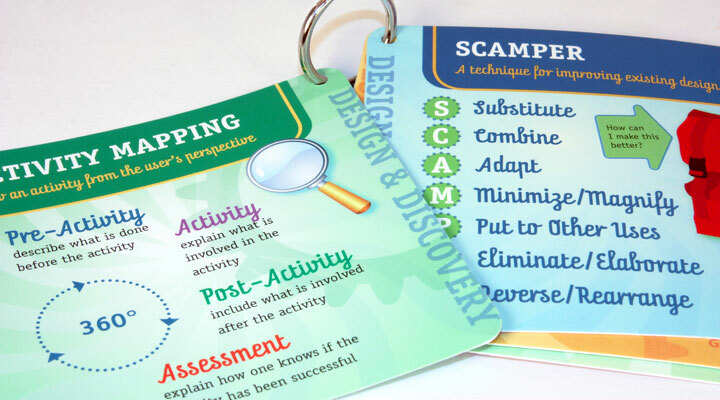 These reference cards help guide girls through the design process. Printed on waterproof,tearrproof paper, the cards were designed to be clipped on a backpack or notebook.